I based my art poster design on the hilarious third episode of Red Dwarf XII, entitled Timewave. 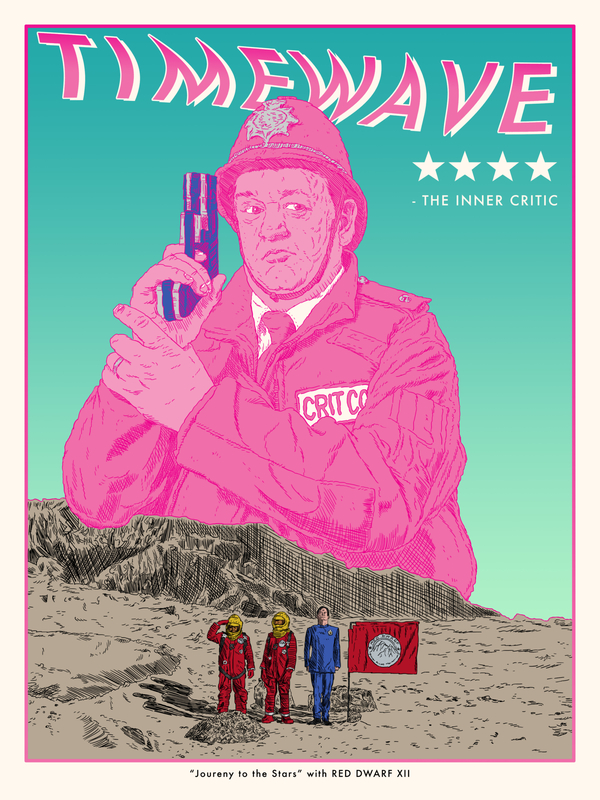 The Crit Cop character played by Johnny Vegas takes centre stage in titillating pink, as he seems to eyeball the illegally critical four star review by The Inner Critic. Below the tiny figures of Lister, Rimmer and Cat standing on planet Rimmer from the beginning of the episode is emblazoned the legend (with referential in-joke misspelling) “Joureny to the Stars” with Red Dwarf XII.